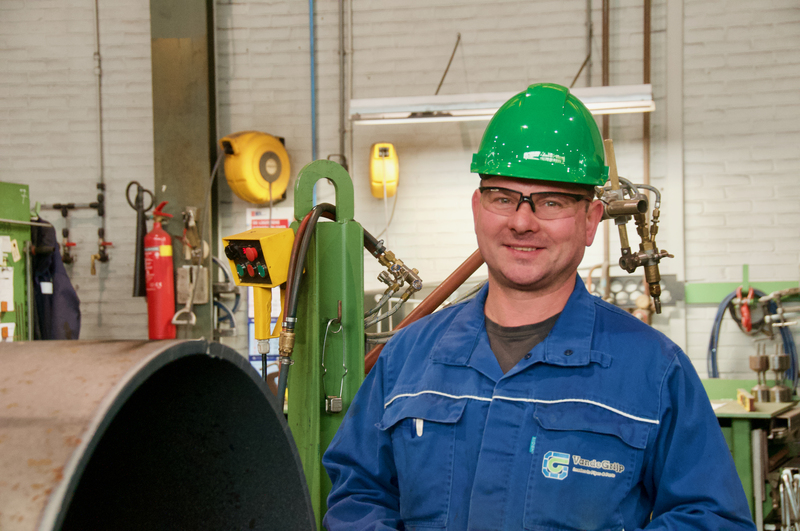 At VandeGrijp we make tubes, cylinders and cones, as well as winch drums and unique reducers. VandeGrijp Rental hires out flanged pipework with diameters from 300 till 1.000 mm. VandeGrijp Group is an internationally operating company specialized in the production of steel tubes, piles, tubular constructions, and rental of pipeline systems and floating equipment for on- and offshore projects. The group comprises two companies with approx. 50 staff. VandeGrijp produces tubes, tube sections, cones, half scales, cylinders, drums, adaptors, and much more. Jacek is a genuine craftsman. Someone for whom steel holds no secrets, a professional who works from drawing. "I want to make better use of the potential of our people." VandeGrijp is market leader in rental of temporary pipelines for marine and civil construction. VandeGrijp owns a diverse fleet of 25 vessels consisting of split hopper barges, hopper barges and pontoons. By keeping short communication lines, we offer a solution to any capacity problem a contractor may have, when and where necessary. We work with businesses from all areas of industry, from SMEs to FTSE 100 companies. Businesses choose VandeGrijp as their partner because our expertise, capability, and consultative approach help them achieve their goals on time and within budget.